Saturday, February 26, 2013 proved to be yet another monumental moment in life when I got to see Muse do what they do best - ROCK! When the boyfriend’s sister asks, “I have tickets to go see Muse, do you want to come?” you clear your schedule in a matter of seconds and start the countdown. 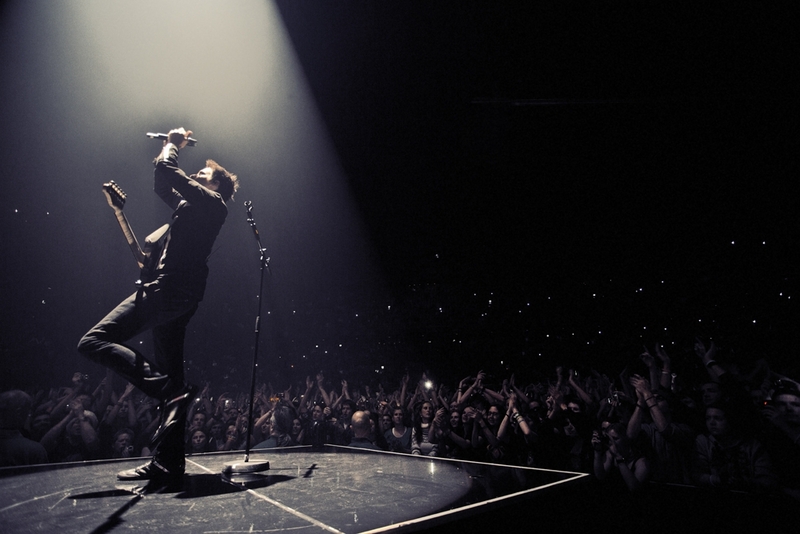 As time winds down and now you’re watching the questionable opening act you start to picture the lights, the screens, the smoke, and what craziness Matt Bellamy will envelope the audience with. While I sat along with my boyfriend, his sister, and a friend high up in the nose bleeds, far right of center stage, I contemplated whether or not we would miss out on all the great spectacles but, of course, due to the genius stage planning we had an intimate evening at the sold out Staples Center. Monitors enveloped the band members, which displayed their every move and then some. In addition, a pyramid of monitors dropped down at the right followed by POWS and BANGS and even more lights and animation to enhance our experience. Although I wore “Litas”—of course the more affordable style courtesy of Santee Alley—I still jumped, head banged, fist pumped, and screamed my little heart out to all the classic Muse tracks like: “Map of the Problematique,” “Knights of Cydonia,” “Uprising,” “Time is Running Out,” and my all-time fav “Plug in Baby”. The newer tracks off of The 2nd Law were welcomed warmly by the crowd. Some of my favorites were “Supremacy,” the dubstep like track “Unsustainable,” “Panic Station,” and “Madness”. This is probably an appropriate time for a confession, but don’t tell anyone ok? I did NOT like “Madness” when I first heard it on SNL at a friend’s place late one Saturday night. Whether it was due to the alcohol obscuring my senses, or the drastic change (which I initially blamed on Kate Hudson) from which we were accustomed to - it did not fit my cup of tea and I was saddened. However, hearing it with thousands of screaming Muse fans put it on my list of top favorite Muse songs. The awesomeness, in my opinion, is summed up in this one photograph made up of nothing but cellphones lighting up the Staples Center in hopes of Muse making just one more appearance. Ahhh. .... February 26, 2013?